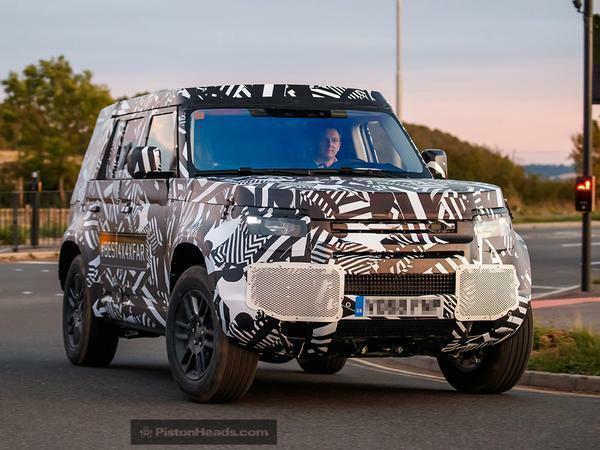 Home > News > British cars > 2020 Defender interior leaks online: Update! 2020 Defender interior leaks online: Update! 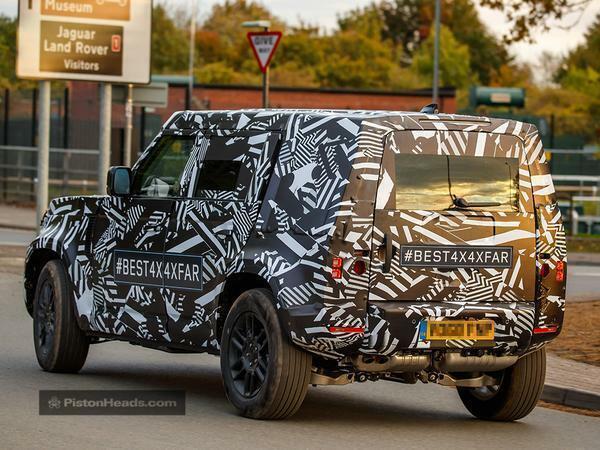 Given the excitement surrounding Land Rover's next Defender, it was only a matter of time before more details leaked. 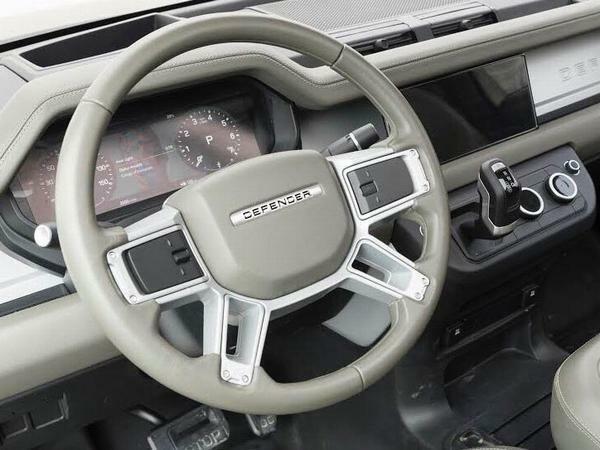 The first image we have from the murky world of social leaks is of the interior, well, the dash, to be exact. It's as some of you might have expected, mixing retro boxiness with digital infotainment and a modern wheel. JLR's made no official comment as to whether it's real, but we see no reason why it wouldn't be. The rest of the car has - for now - remained veiled behind thick cladding. But the theme of the interior suggests we could see a similar mix of old and new outside. 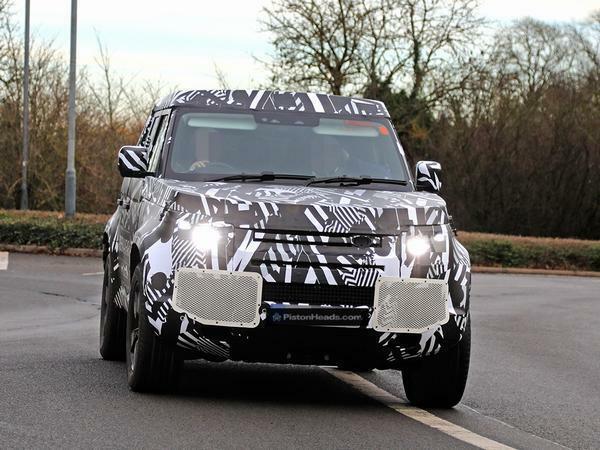 The Defender's boxy body is clear from spy pictures (more on those below), but perhaps there's a more modern face that mimics JLR's other SUVs attached to it. So, what do you think of the design so far? And are you a fan of this interior? Oh, to be a fly on the wall in the garage that holds Land Rover's development prototypes. 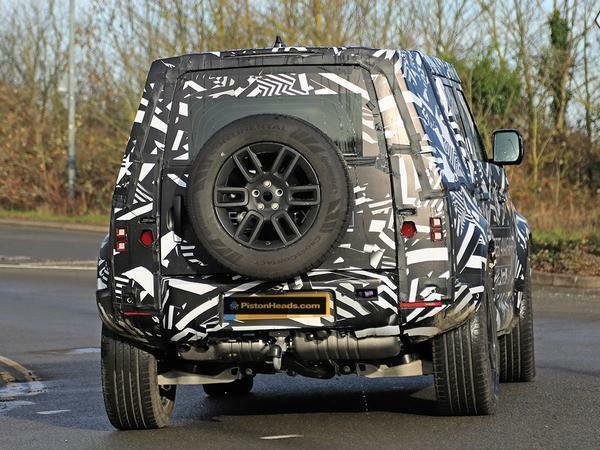 We'd already have a pretty good idea of what the all-new Defender will look like because the prototype photographed here can get undressed in there. Sadly for our curious eyes, the car we see in public is hidden behind that layer of cladding and black and white camouflage. 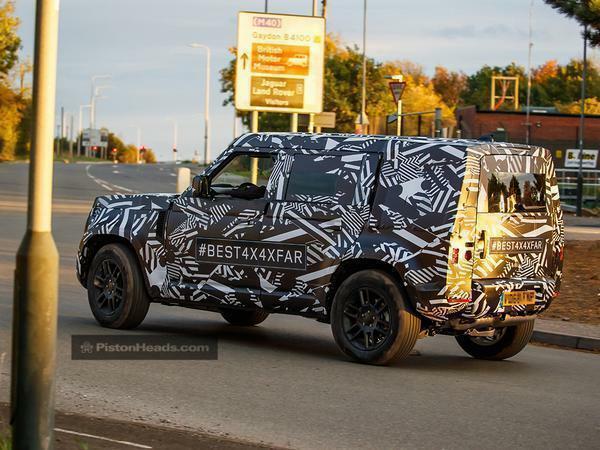 Naturally, the conversation on PH's forum (see below) has included suggestion that this disguise's resemblance to the Disco 4 and other current Land Rover models points to an end of the retro Defender shape. And that's a fair assumption, given what the test car looks like. But there's hope our beloved vintage Landy shape still has legs, because the new images do appear to show how very thick the cladding is. What makes it into showrooms could still end up being very Defender-like. 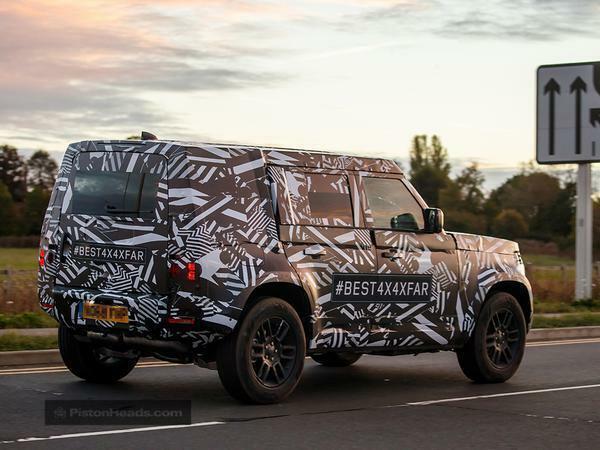 Furthermore, a new image also provides a clearer glimpse of the test car's independent rear suspension, which replaces the original Defender's more rudimentary layout. As we know, this more modern solution allows each wheel to work over rough terrain without being directly impacted by the angle of another. 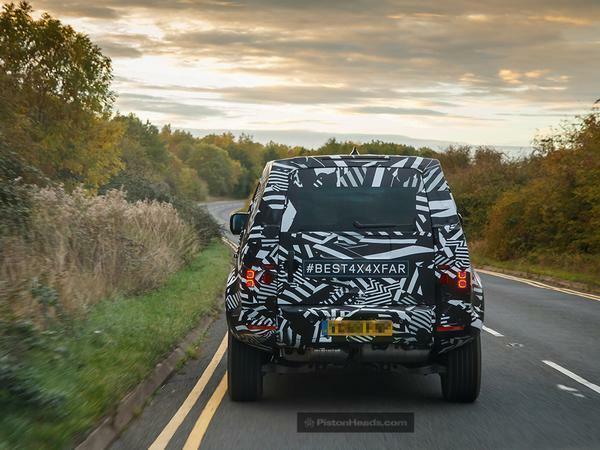 It should also save weight and make the new Defender more comfortable on the road - which, evidently, is where lots of Defenders spend their lives. 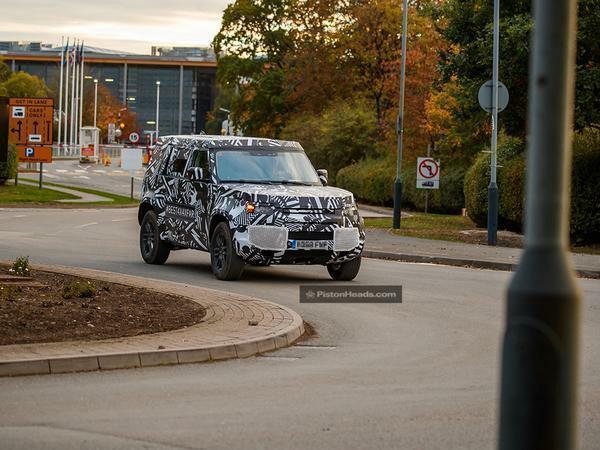 We’re less than two years away from the arrival of the next Land Rover Defender so it’s about time we caught glimpse of one testing out in public… and, oh look, here’s one along now, on the roads surrounding JLR’s Coventry base no least, sporting a thick layer of camouflage. Obviously the covers prevent us from getting a proper look at the 2020 model’s features, but you'd be a brave man to bet against a very boxy body featuring underneath. The DC100 concept still looks to provide the clearest glimpse of what’s to come, but – and this may just be the effect of the camouflaging – there appear to be hints of Disco 4 about the cars front end (once you see it…). 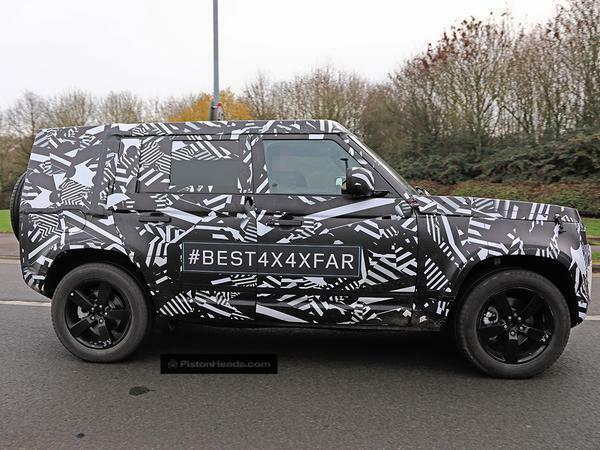 That doesn’t mean, however, that the Defender will come with a hand-me-down structure, because Land Rover has previously stated the new version will be its most high-tech model. 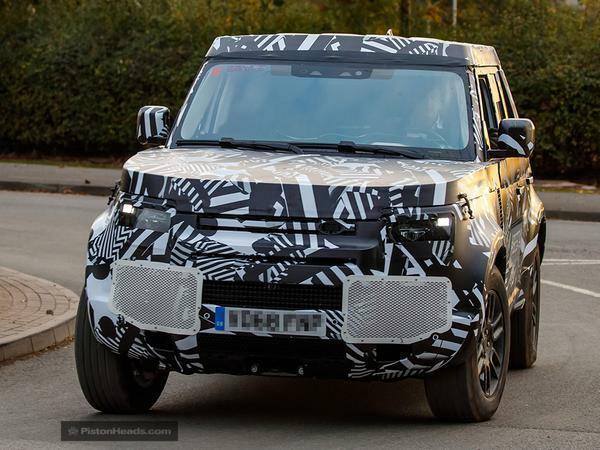 It’s set to use JLR’s all-new aluminium Modular Longitudinal Architecture (MLA). 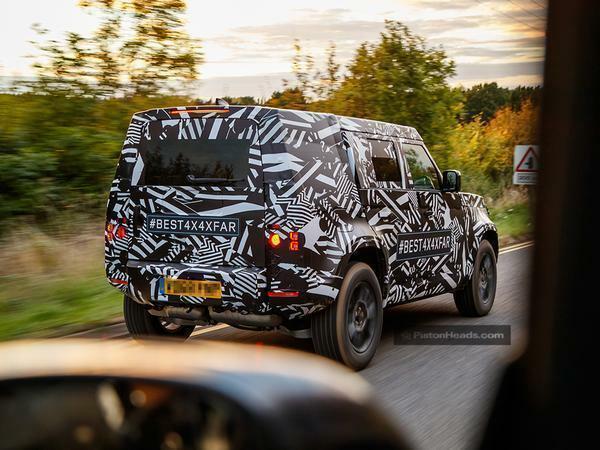 The first Defender to go on sale since the last one rolled off the production line in January 2016 will probably be offered with several powertrain options, so as to broaden its appeal. 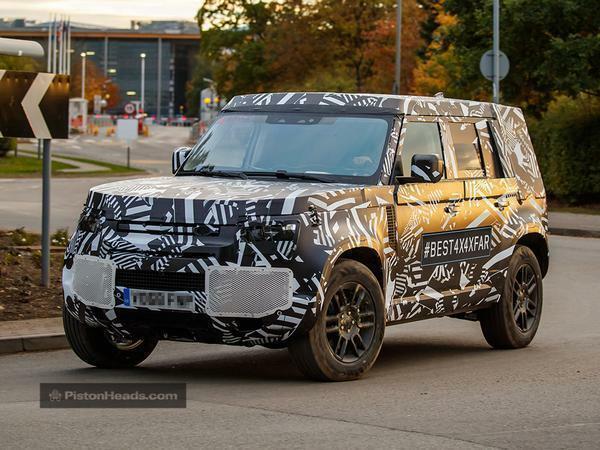 But the car spotted testing here is listed on the DVLA with a 2.0-litre diesel engine, most likely a variant of the turbocharged Ingenium motor already seen in current Landys. JLR has previously said it’ll electrify every model in its range from 2020, so we can expect a hybrid version to also be offered – although it’s possible that car will use a petrol-electric system rather than mating electric power to the diesel, as with the plug-in hybrid Range Rover models. 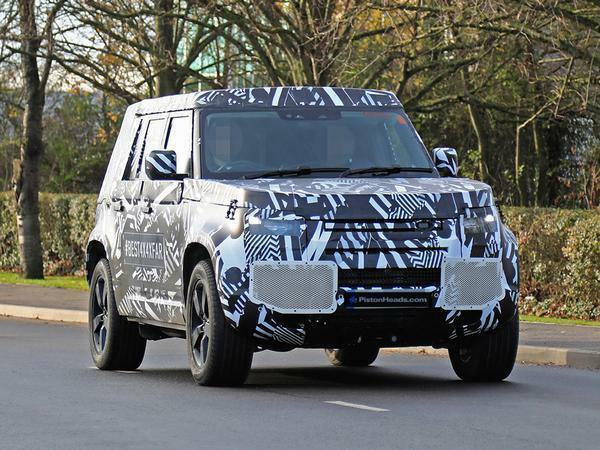 Now that a mule has been photographed out in the wild, Land Rover has admitted the project reaching “an exciting stage of its development” - whatever that means. Being a predictable bunch, we'd imagine this means wading against the current in a fast-flowing tropical river. Alternatively it could mean that test drivers have begun sampling the roundabouts of the West Midlands and testing the roof clearance at the local drive through. Either way, we should expect big things from the next Defender because it absolutely has to be the best proper off-roader on sale. In the whole world. Predecessors that stretch back to the iconic Series I of 1948 have all earned respect across the globe for their go-anywhere abilities, so in 2020, this model will need to emulate that with a modern twist. Land Rover bosses have previously stated that the previous Defender was as much an off-roading halo product as it was a plucky workhorse. The new car will need to pick that baton up, and go long. Not without live axles it won't be. A Defender without lives axles or a ladder chassis = instant FAIL! A shame, but predictable in this day and age of fashion icon Land Rovers for those uninterested in 4x4's, off roading or utility vehicles. Looks like Postman Pat got a bit carried away in the sticker aisle..